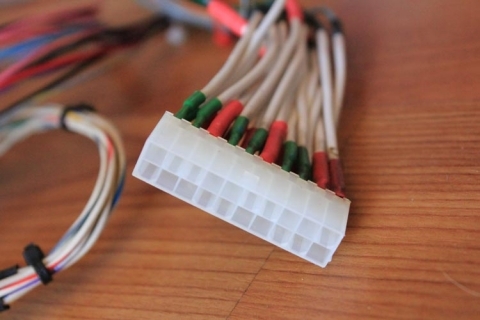 This molex connection takes the -5v, ground and fan 12v output from the control box and feeds it into the JAMMA harness. 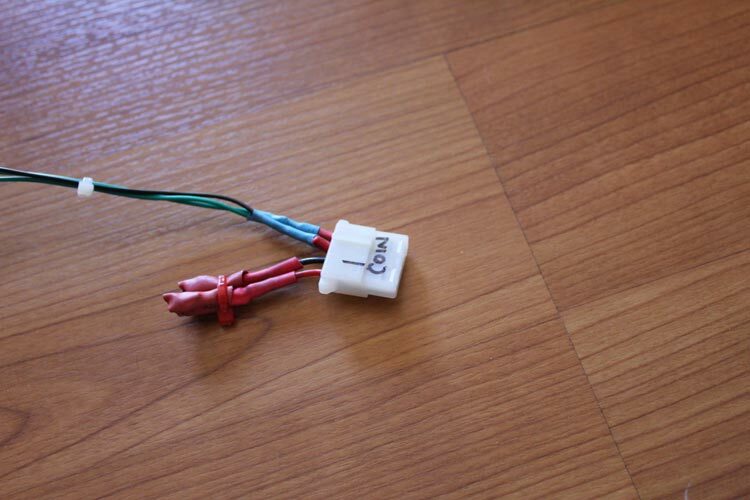 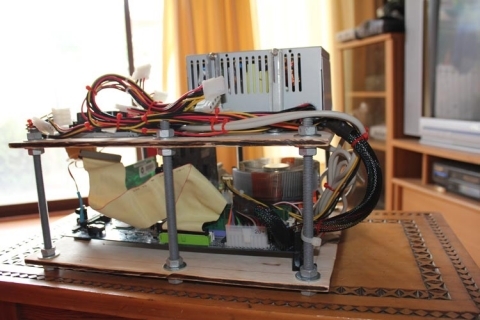 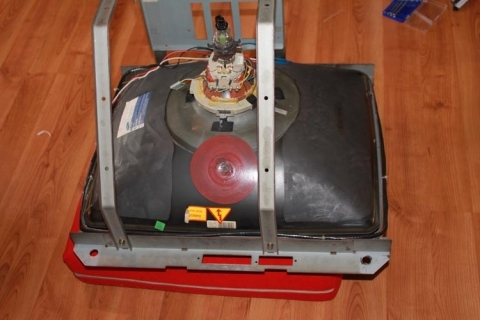 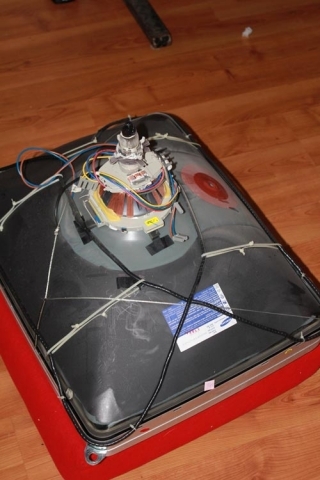 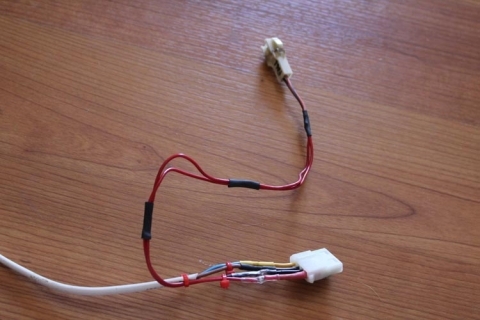 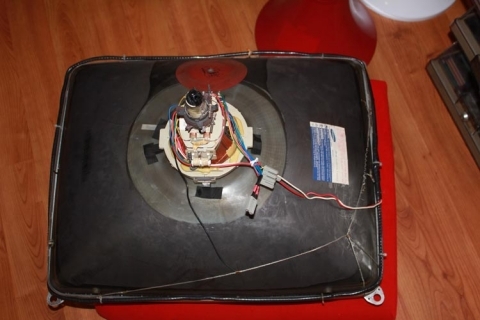 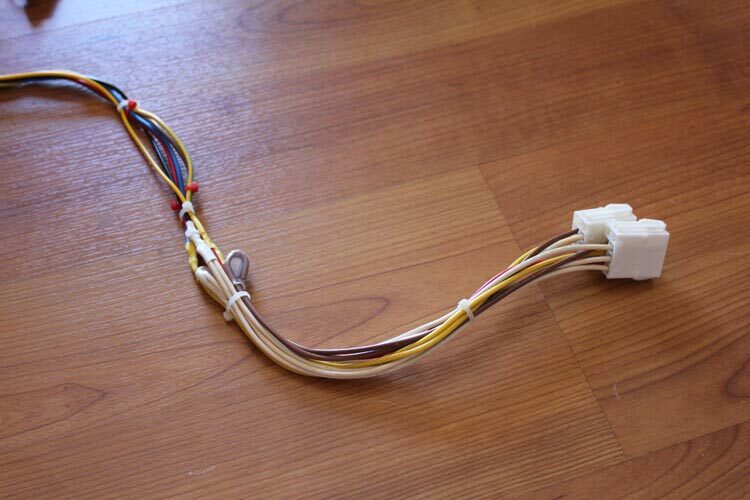 This fan connection is another molex connector (2-pin) so that a fan can be connected if necessary, and as all the power comes from a separate connection to the PSU, it’ll remain constant regardless of the setup. 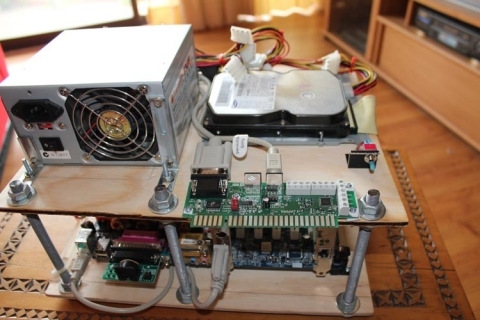 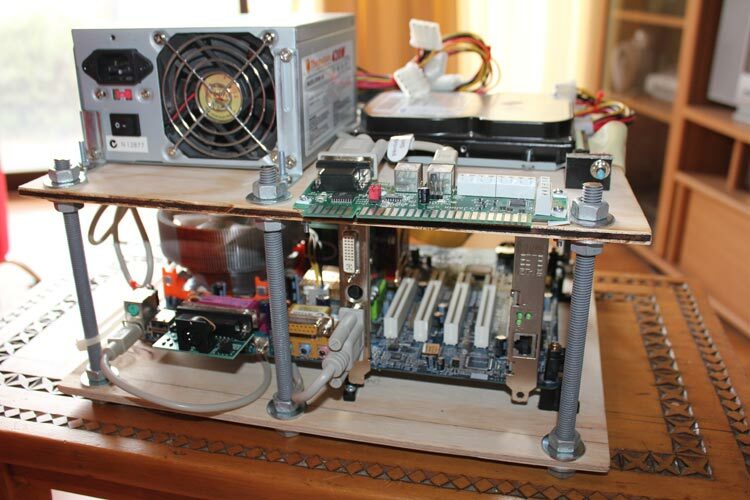 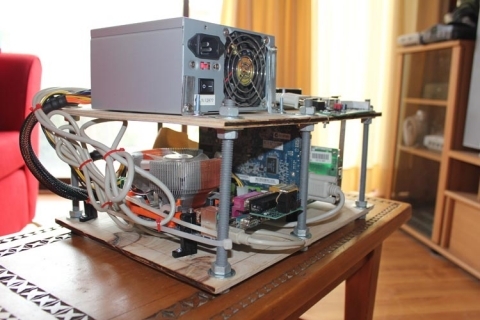 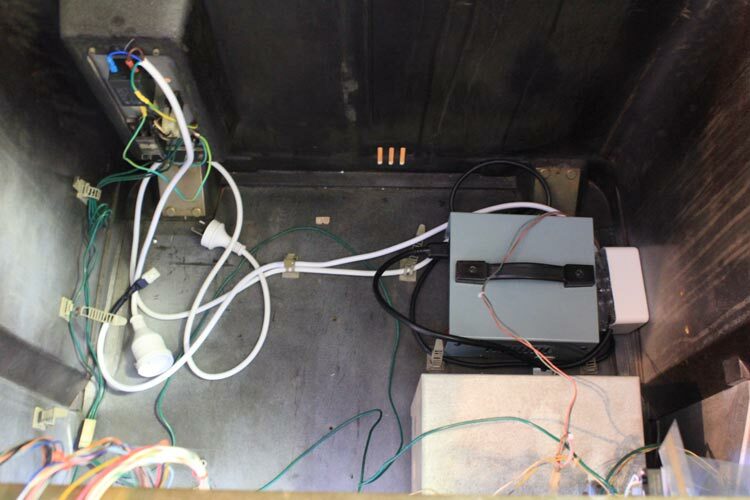 The PSU in the cab is a SUN PSU, so the power connections are JVS standard. To accomodate this, I hacked a spare JVS extension cable and connected the +5v, +12v and ground to the relevant connections, and beefed up the wiring on the harness. By default it only had a single wire for each of these connections, so I added three additional wires to the +5v to help with the load for power-hungry games. 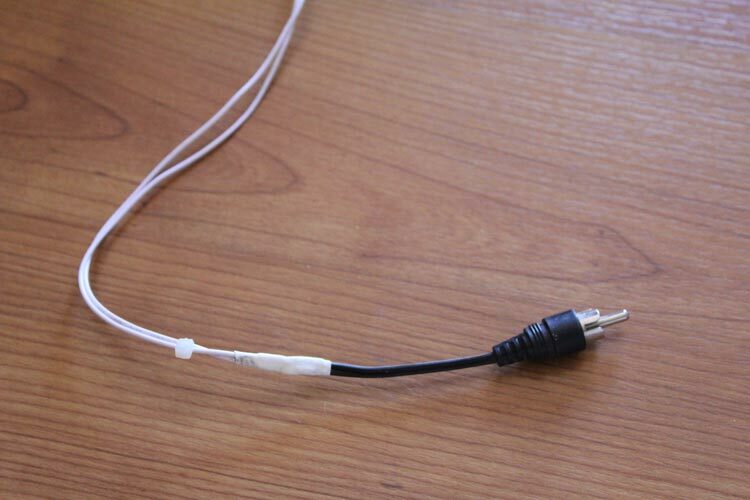 I terminated the 3.3v wires on the extension cables with heatshrink tubing to keep it electrically safe. The test and service buttons are pushbuttons mounted underneath the control panel on Astro City cabs, so I terminated these connections along with a ground feed from the harness to allow easy connections. 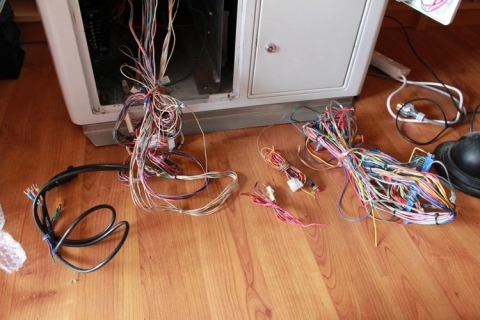 At the other end, I rewired the existing switches and cleaned them up so that they connected accordingly. 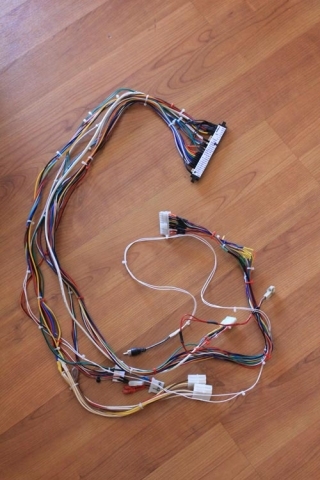 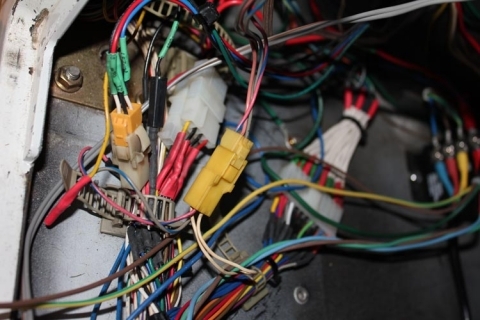 Similar to the service and test switches, the coin slot connection uses molex connections at either end. Inside the cab, the coin slot is also wired in parallel to a push button so that credits can be added without having to use coins. 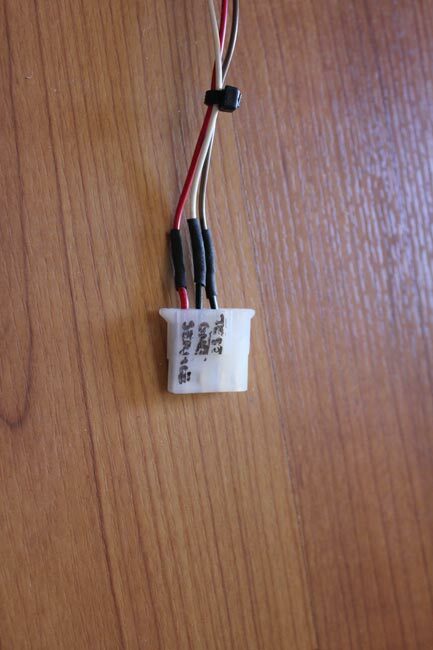 Handy, as I don’t have any ¥100 coins! 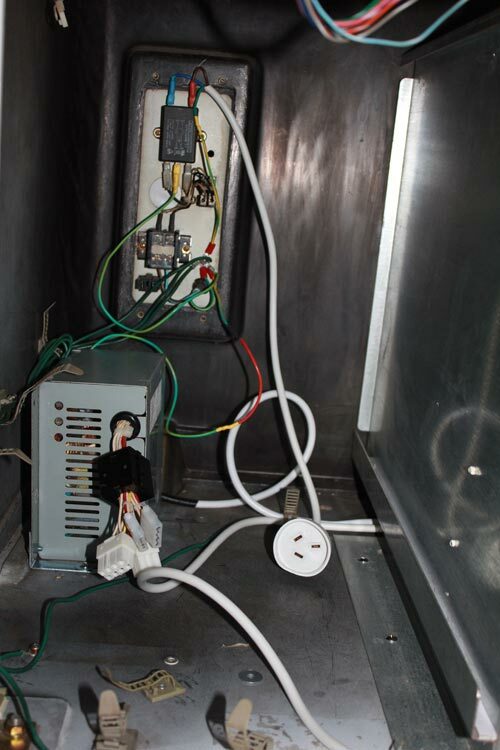 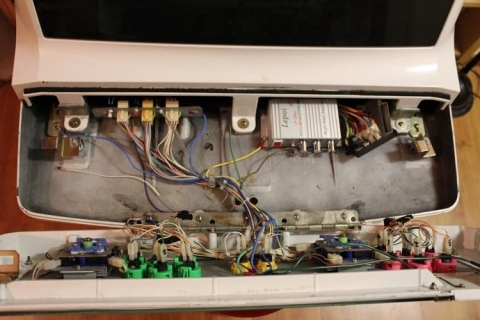 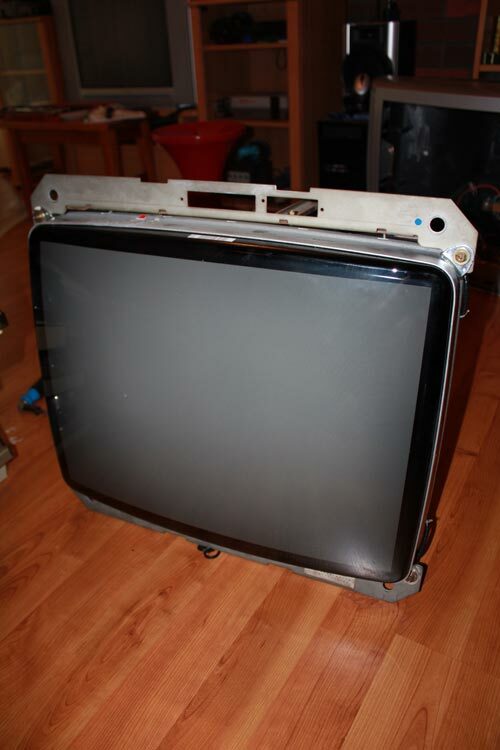 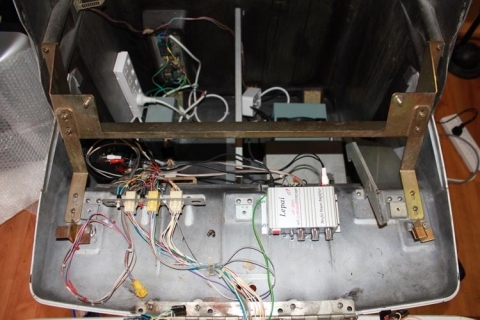 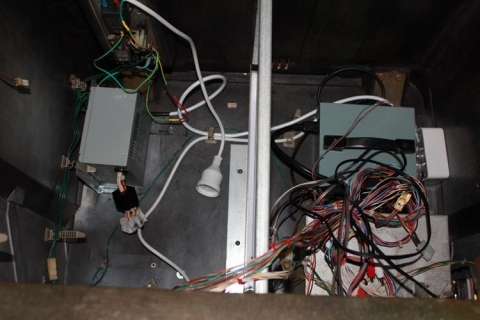 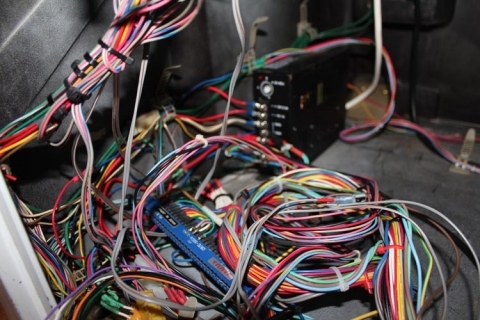 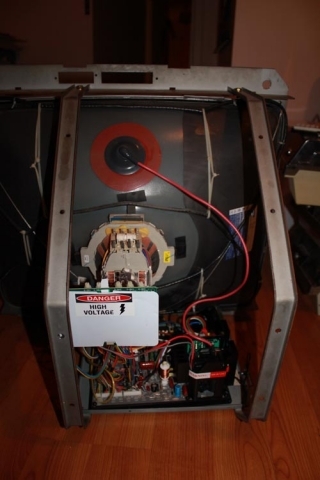 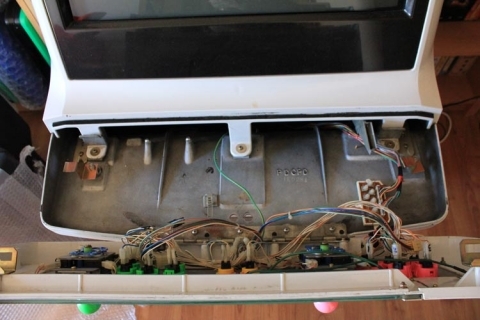 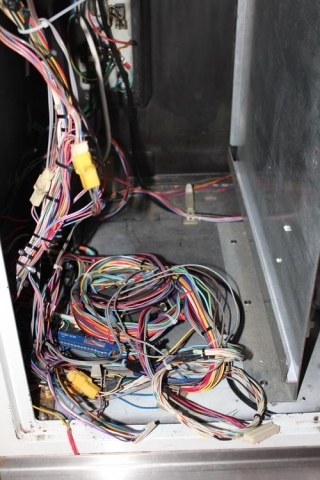 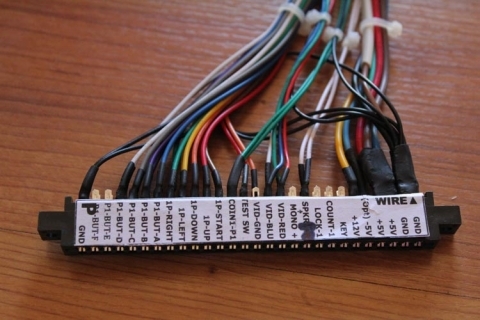 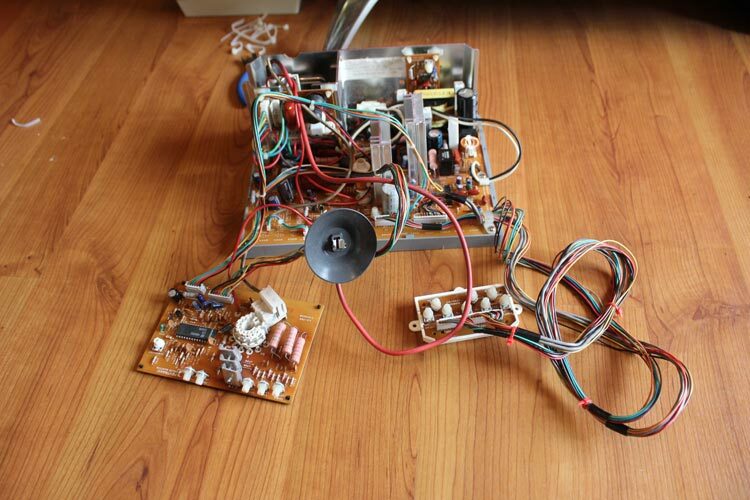 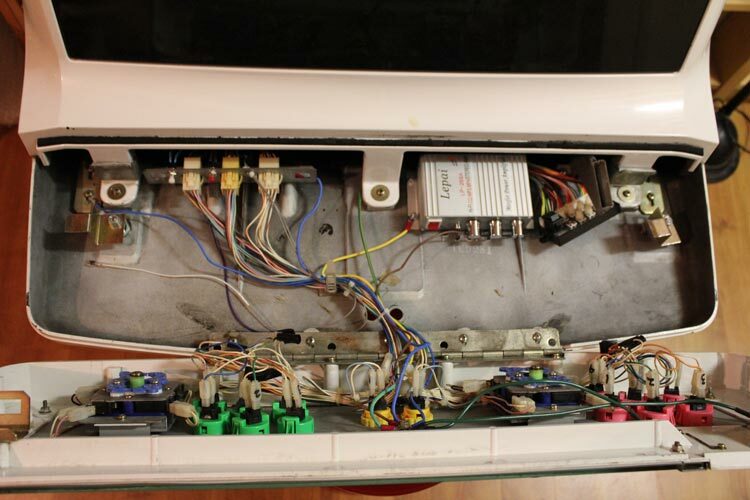 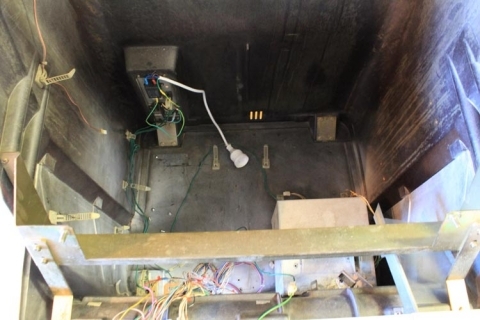 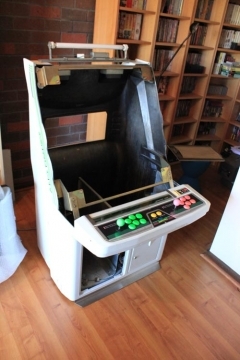 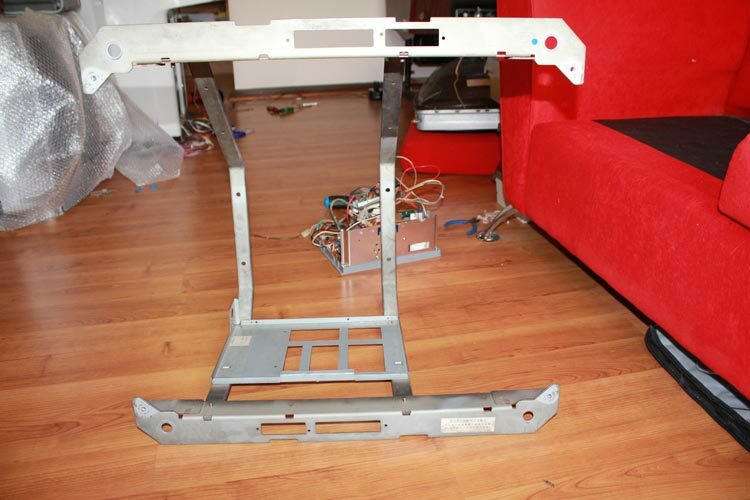 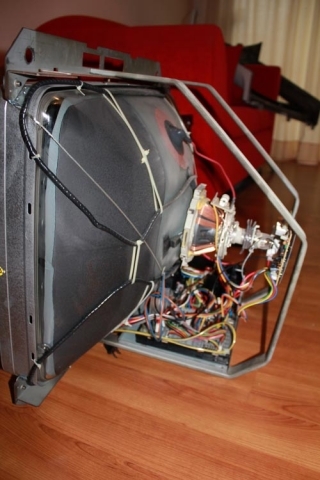 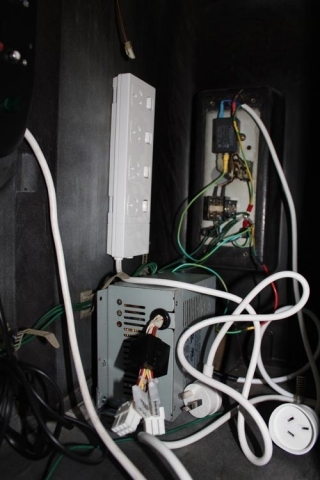 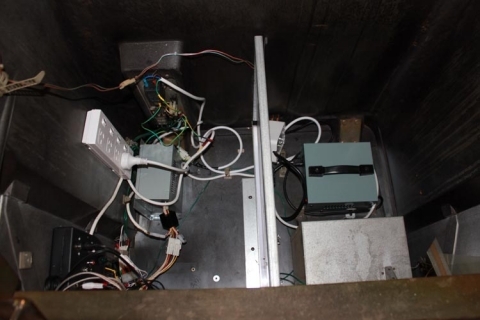 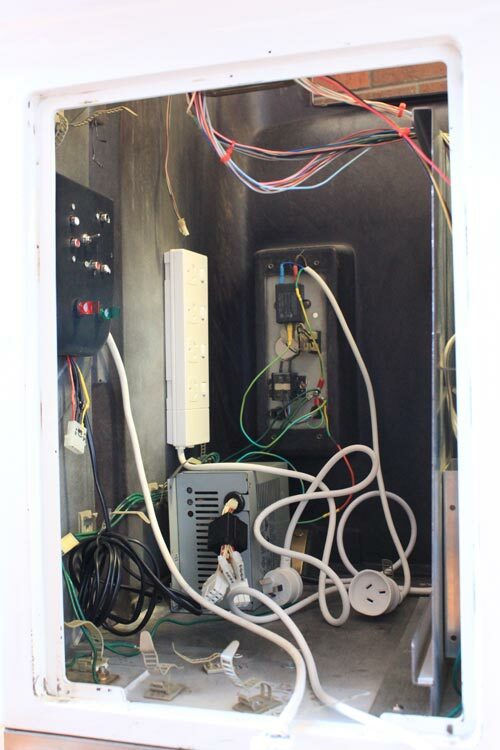 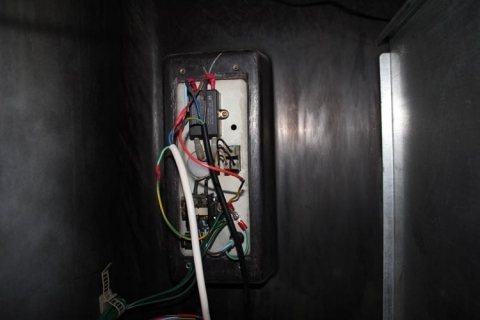 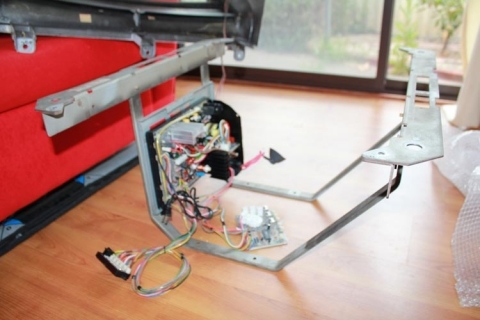 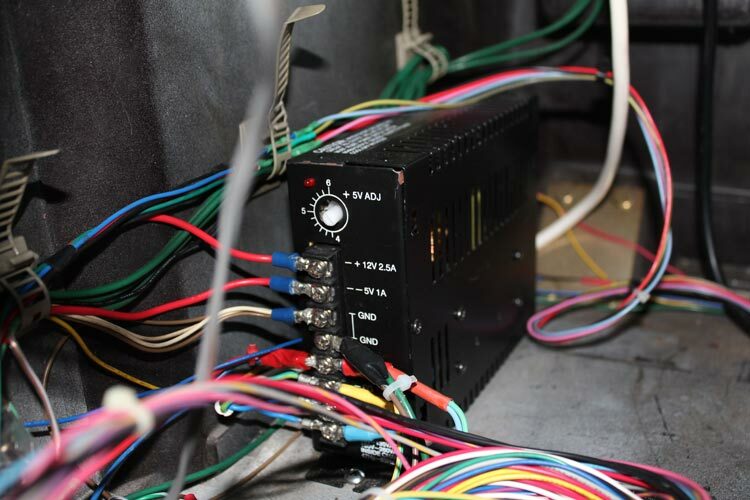 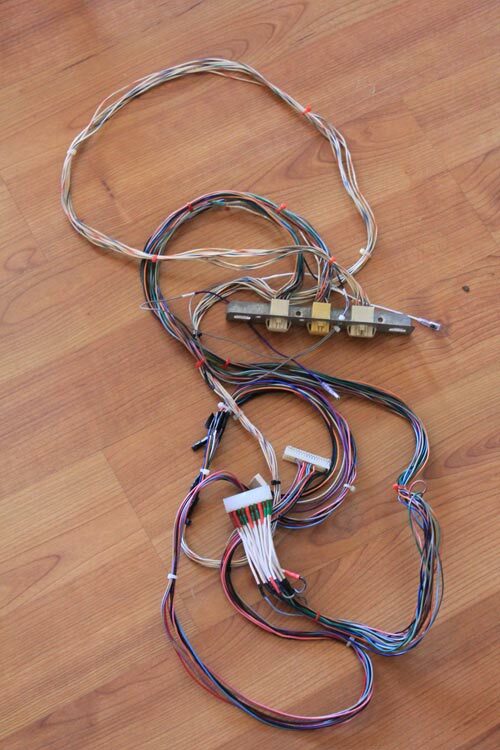 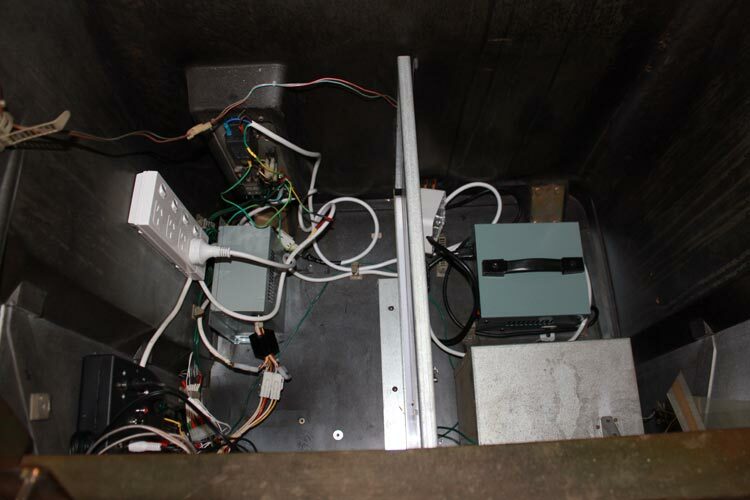 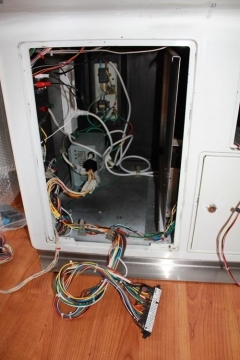 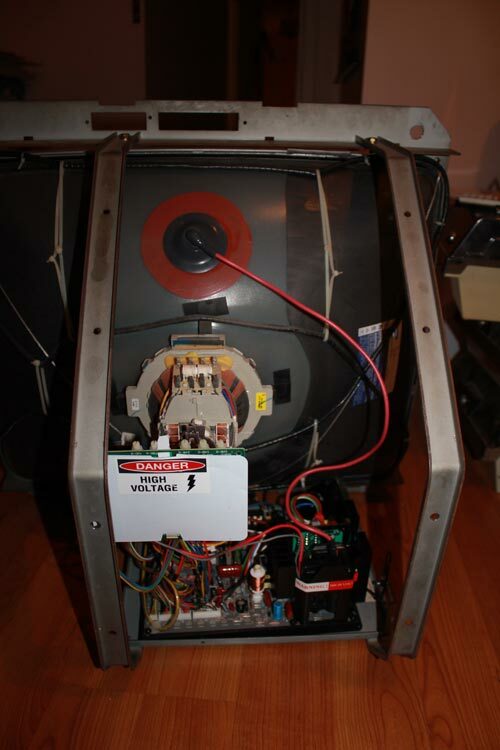 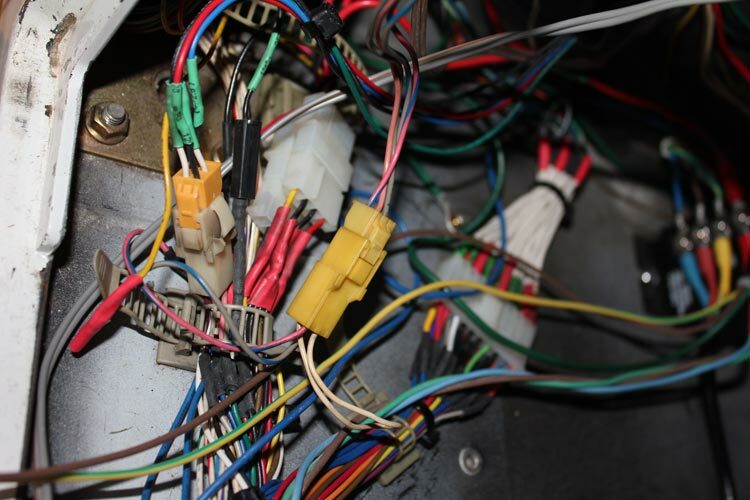 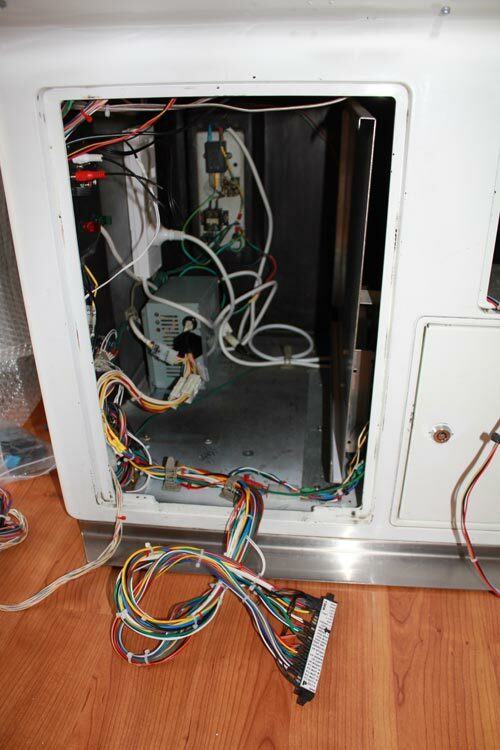 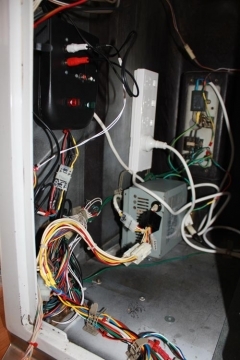 This is a long shot of the wiring mounted underneath the control panel – the metal bracket holds three molex connections – one for player 1 controls, one for player 2 controls and one for the JAMMA+ (buttons 4, 5 and 6) for both players. On the bracket are also mounting points for up to three small push buttons, labelled for test, service and degauss. 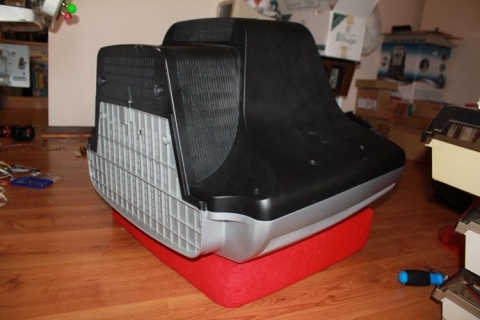 As the degauss switch is on the external panel from the chassis, it isn’t used in my setup. That final image is the female molex connector for the controls – a scary prospect to wire up! This feeds the P1 and P2 controls into the Astro. 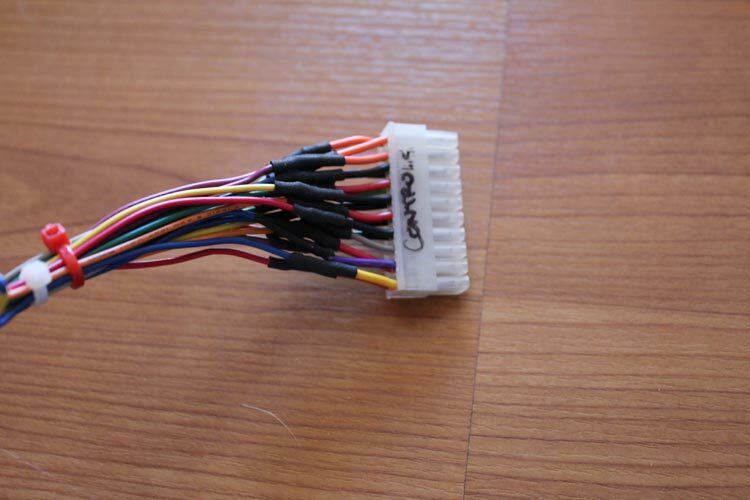 The only other change I made was to have button 4 off the JAMMA harness for P1 and P2 be re-added into the master molex connector, and then have the female connector run extended lengths with quick-connects on that allow me to re-wire the control panel as required. 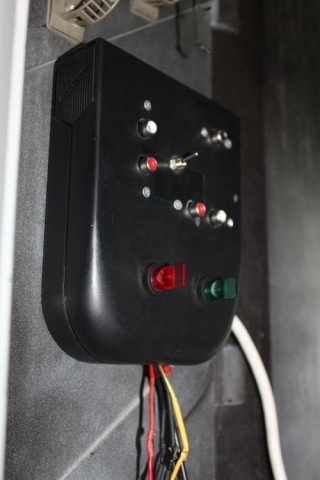 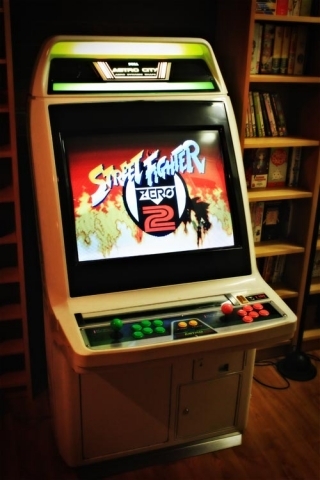 This allows for quick and easy button changes when playing Neo Geo titles, for example.